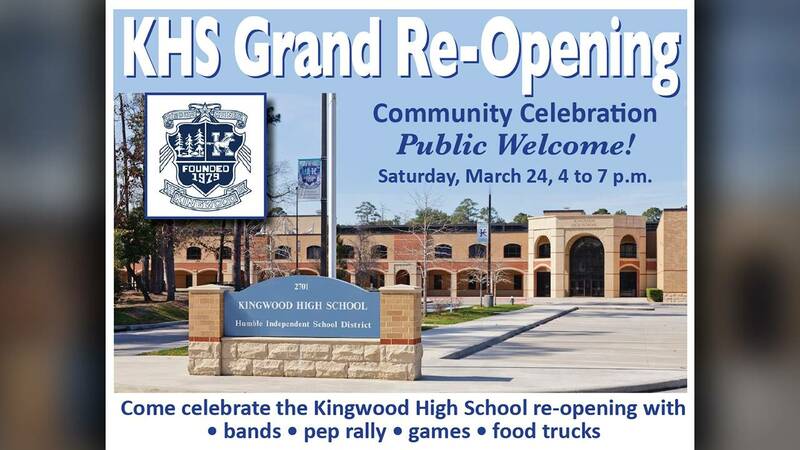 KINGWOOD, Texas - Kingwood High School will reopen March 19. Students will finish the school year at the campus that was heavily damaged during Hurricane Harvey last year. The campus will operate on a new schedule. On Mondays, Wednesdays and Fridays, students will attend tutoring/staff development from 7 a.m. to 9:20 a.m.
From 9:25 a.m. to 10:26 a.m., students will attend first period classes. From 10:31 a.m. to 11:32 a.m., students will attend second period classes. 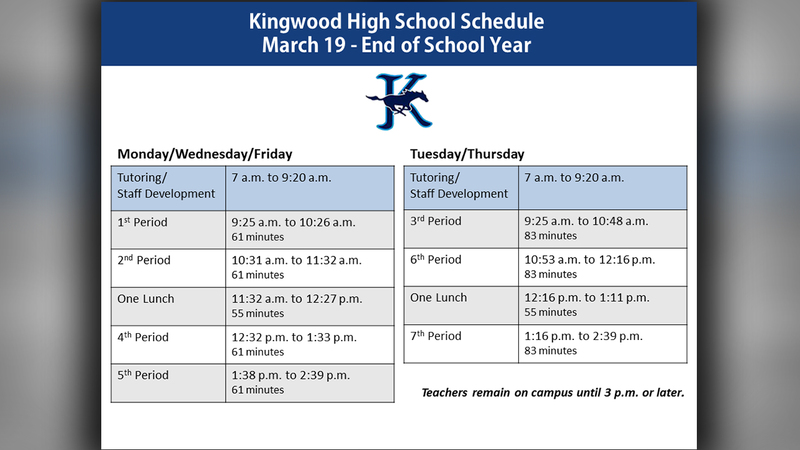 One lunch period will be from 11:32 a.m. to 12:27 p.m.
Fourth period classes will run from 12:32 p.m. to 1:33 p.m. The last period of the day will be held from 1:38 p.m. to 2:39 p.m.
On Tuesdays and Thursdays, the schedule will be a little different. Students will still attend tutoring/staff development from 7 a.m. to 9:20 a.m. 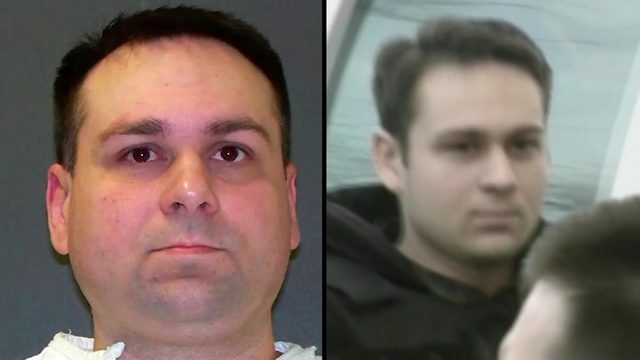 They will go to third period classes from 9:25 a.m. to 10:48 a.m.
Sixth period will be held from 10:53 a.m. to 12:16 p.m. Lunch will be held from 12:16 p.m. to 1:11 p.m. 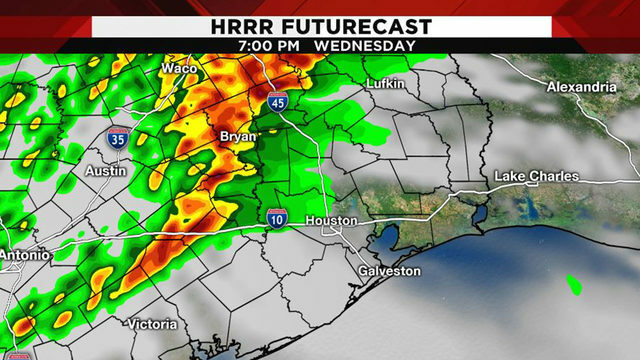 Seventh period will be held from 1:16 p.m. to 2:39 p.m.
Kingwood High School's 2,782 students attended Summer Creek High School while the repairs were being made. 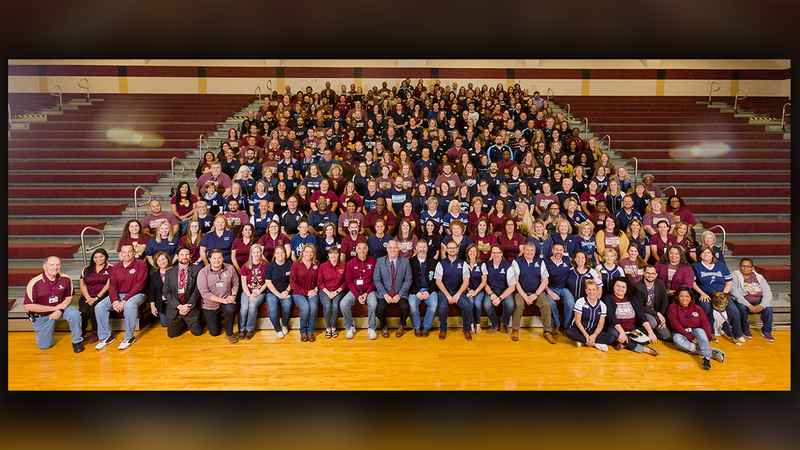 A photo of the Kingwood High School and Summer Creek High School staff is below. 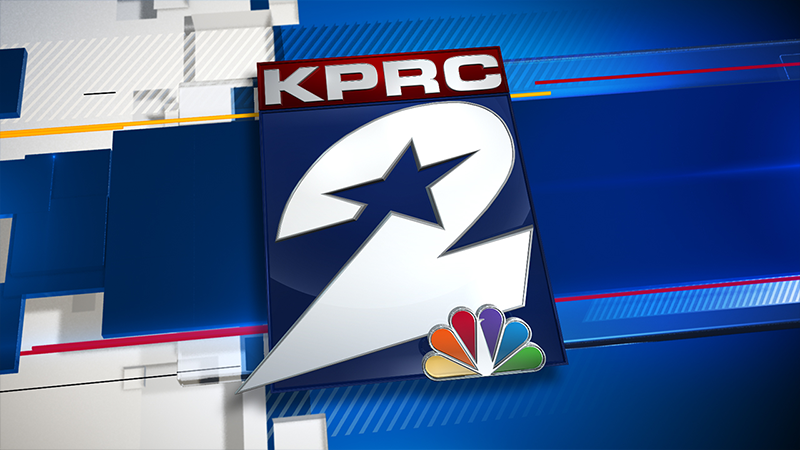 Teachers will remain on campus until 3 p.m. or later.